This simple yet extremely entertaining game will have kids "bugging" their parents for more! Bug Trails is a 6-legged color matching domino game. Place your Bug Tiles by matching the bug's colored legs. The first person to run out of bugs wins! Match two oreven three legs and advance further in the game. 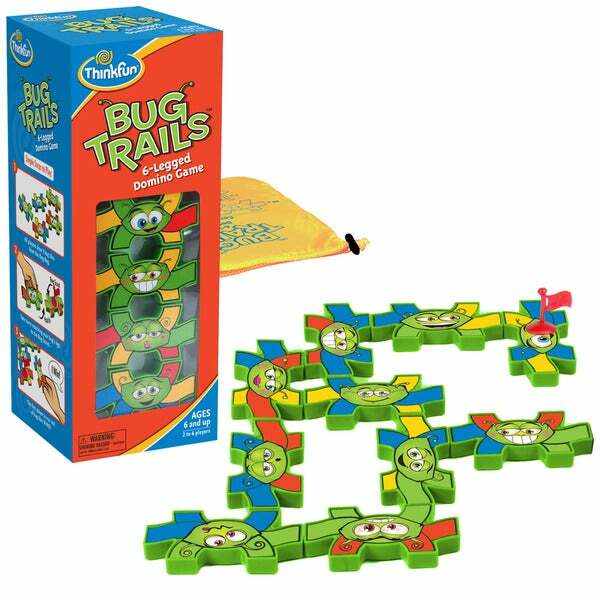 Bug Trails teaches simple strategies and visual matching to younger players yet is fun for the entire family.